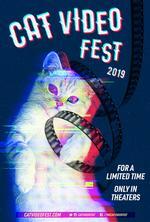 CatVideoFest is committed to raising awareness and money for cats in need around the world. A percentage of the proceeds from each event go to local animal shelters and/or animal welfare organizations. By focusing our fundraising efforts on behalf of local shelters and organizations, we’re able to divert money and attention directly to the places and causes that need it most. For example, in some communities the feral cat population is the most pressing concern, whereas in another location, spaying and neutering takes precedent. We trust local people working on behalf of cats to know and understand the problems that need to be solved. The 70-minute-reel of cat videos is family-friendly and can be enjoyed by anyone. The wide demographic appeal allows for it to be shown in virtually any type of setting - from museums to theaters to outdoor festivals and beyond. This flexibility means there are almost no limits to where CatVideoFest can go!